Built box stock, not much in the way of detail, steering at the front and just a transmission at the back and a metal rod axle joining the two wheels together. But a good PE sheet and good decals are included. Nice build Pat. I have a couple of them in the stash from IMC (very oldies). I'll have to get them out and start workig on them. Nice job! I saw the real one at Miller Motor Sports in Tooele, UT when I went up for the Boss Track Attack. 2 days on track after I bought my Boss 302 LS. That museum was a Ford lovers dream. They have every version of the GT and the two Le Mans winners not to mention one of six Shelby Daytonas... fantastic. Thanks guys. Yes I remember these when they were originally testing at Silverstone in the day! Man this thing is all that!! Fantastic build Pat!! IMHO, that's the prettiest automobile ever built. I've been in love with it since I got my first Matchbox car of it. Absolutely beautiful! Gorgeous build Pat. Really nicely done. 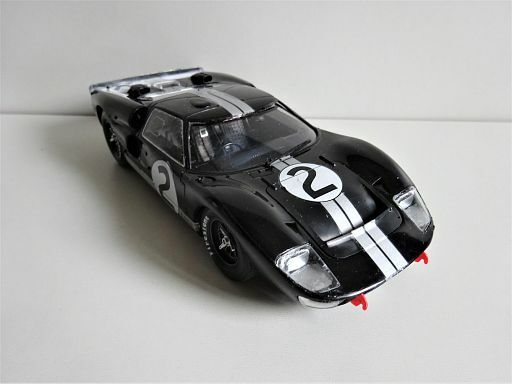 I had to have a look at your GT40 as I've been looking to order one of these Fujimi kits for myself. Just love these cars. Cheers JOE RIX. Yes they are a nice kit, but with little engine detail. Fujimi seemed to have cornered the market with quite a few kits on the subject. It's another winner, Pat. It looks good. The kit even has the bubble in the roof. If I remember it was to accomodate the tall driver (Dan Gurney, I think). I was out at the Ford Racing School in Tooele UT last month. I drove a GT350 one day and a Boss the second day. Life is good. 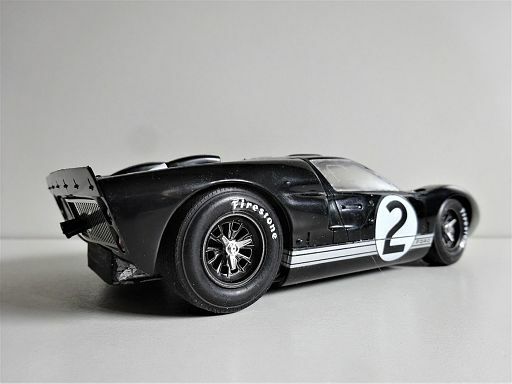 Nice job on the GT40. I spent days painting the metal rings on the seats by hand. Phew! It is a really nice kit and you did it up right. If I remember correctly Revell also did a kit of one of the winning cars. Thanks rangerj, for your comments and info. I just recently finished a Revell GT40 kit of the blue #2 car from the Sebring race. I had read somewhere that the Revell kit was basically a repackaged Fujimi kit. I have an article somewhere that I printed off of a web site detailing these kits. I may have to try to find it again. Great facility. I ran the Boss302 the first day and the FR500s the second. Do they still have the museum? The museum is still in tact. An original GT350 (1965), GT40, etc. I don't know what was there when you were there but it does not look like anything has been changed based upon some pictures I saw. It is indeed a great high performance driving school and it is well run. The instructors and everyone else involved were fantastic. I took my son with me and he had a blast and learned a great deal, as did I. I did some Formula V racing with SCCA 50 years ago, but this was VERY different. And FUN. As a side note the fuel tanks in the GT 40 are along the doors. 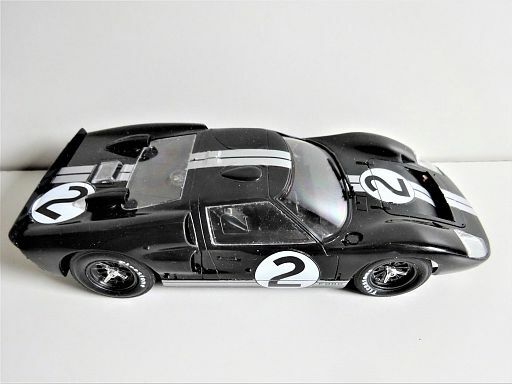 A number of GT 40 drivers were burned in crashes. The car looks great and did well, but it would not be my choice to race in.